The previous study has shown that the mechanical properties of extruded Mg–Zn–Al–Sn alloys decrease with the increasing of extrusion temperature because of the coarsened microstructure. In order to improve the microstructure of Mg–Zn–Al–Sn alloy extruded at a high temperature, a small amount of Mn (0.6 wt%) was added to Mg–4Zn–2Al–2Sn (ZAT422, wt%) alloy in the present study, and ZAT422 and Mg–4Zn–2Al–2Sn–0.6Mn (ZATM4220, wt%) alloys were extruded into bars with 16 mm in diameter at an extrusion temperature of 648 K. Then the microstructures and mechanical properties of ZAT422 and ZATM4220 alloys were examined. 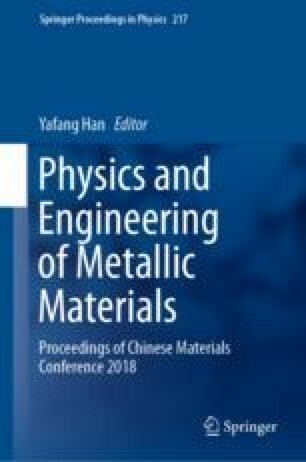 It was found that the extruded ZATM4220 alloy exhibited finer deformation microstructure and better mechanical properties than ZAT422 alloy. The work reported in this paper was supported by the National Key Research and Development Program of China (Project No. 2017YFB0103904), Shandong Province Key Research and Development Plan (Project No. 2017CXGC0404) and the Natural Science Foundation of Shandong Province (Project No. ZR2016EMB11).